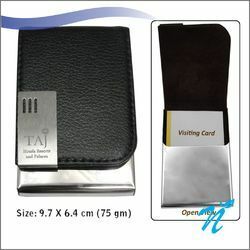 We provide a wide range of Stylish Visiting Card Holders. Stylish Look , Upward Opening. Useful to store in your Visiting cards. Branding possible on Metal Plate in the form of Etching. 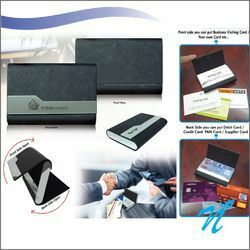 This is promotional Dual side Opening Business Visiting Card Holder. Engraved Logo Possible on metal plate. Brand new Design of Good Quality. Usefull for Office / Home etc. Branding possible in the form of Etching on Metal Plate. 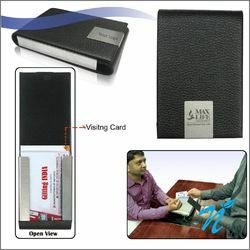 We provide a wide range of Visiting Card Holders for your daily use. Attached option can be made available in 2 colours as seen in the image. 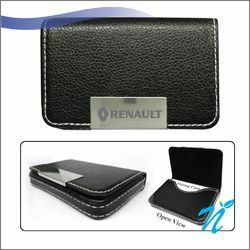 Stylish Look with Metal Plate for Branding. Branding can be done in the form of Etching. 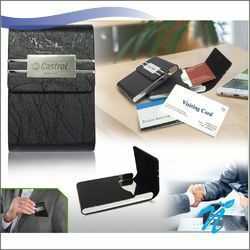 Useful to store your Visiting Cards on the go for any meetings. 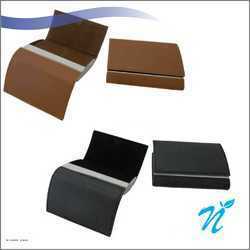 Packaging Details: 1 PIECE IN A BOX BULK PACKING IN CARTONS. 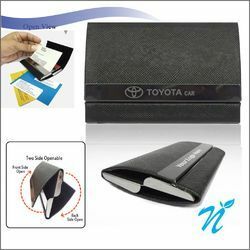 This is promotional product Business Visiting Card Holder. 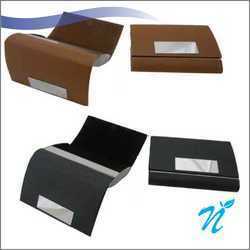 Especially useful for promotional gift. 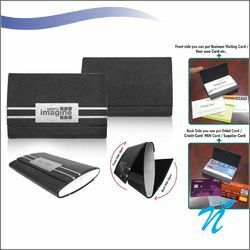 This is stylish Business Visiting Card Holder Made for specially Promotional Gifts. Logo Branding possible in the form of Etching on the Metal Portion.